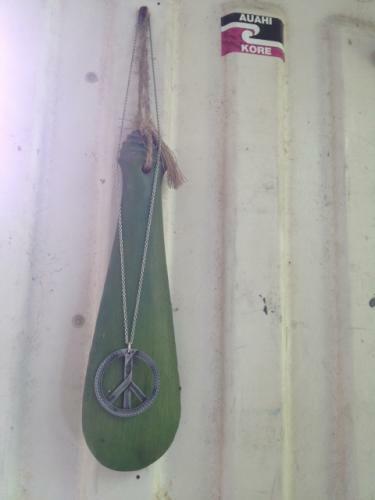 Mamarua offers ‘PACIFIC PEACE’ - a Pacific angle on the very symbolic and meaningful ‘Peace symbol’ which resonates deeply with many of us around the world. Mamarua’s Pacific Peace symbol uses the pacific woven motif – three central strands weave together to make a strong centre column whilst the outer circular edge is a multitude of tiny weaves signifying strength in unity. Pacific Peace in recycled resin is available in 3 colours – Pacific Plum, Kauri Green and Black. 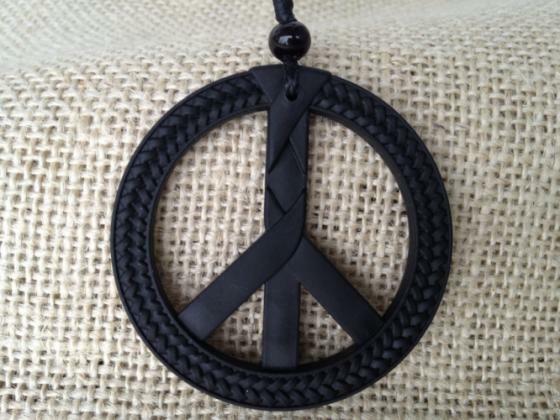 Pacific Peace design is also available in Pewter in a larger 70mm size on a nickel free adjustable chain. Uber cool ! ‘A smile is the beginning of peace’ - Mother Teresa. 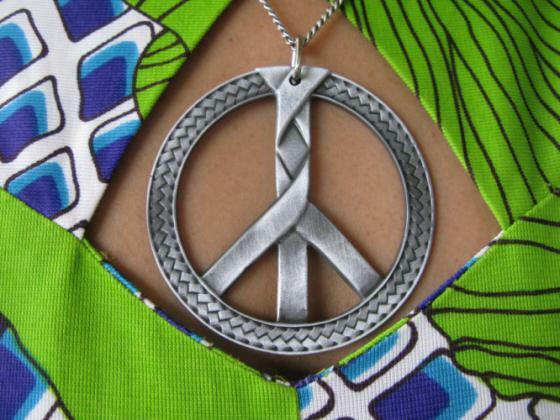 The internationally recognized symbol for peace was originally designed for the British nuclear disarmament movement by Gerald Holtom in 1958. The symbol is a combination of the semaphore signals for the letters "N" and "D," standing for "nuclear disarmament". These two signs superimposed forms the shape of the centre of the peace symbol. 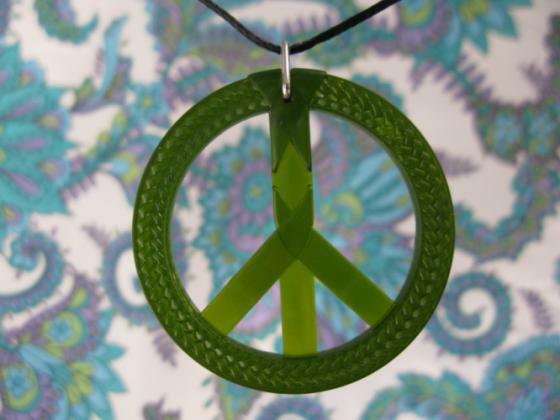 The original drawing by Gerald Holtom of the CND symbol is housed in the Peace Museum in Bradford, England.